Despite the usual wet and windy weather, Rickards hall was full once again for our monthly meeting.. We started with a short address from the Chairman, Sue Bell. 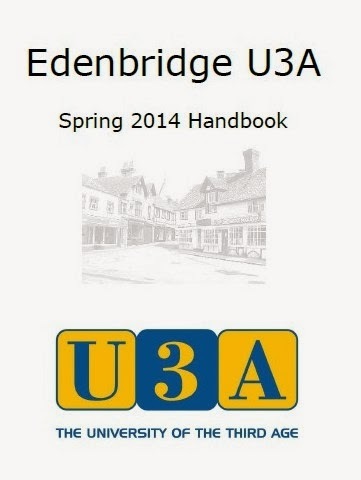 who told us about the new Edenbridge U3A Handbook. 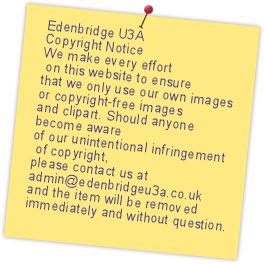 This is now available online from the website to download on to your computer or to print. 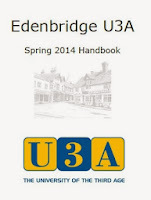 It will be updated regularly and contains all the information you need about our U3A, especially about the groups, group leaders and when they take place. If you do not have access to the internet and / or do not use email, you can collect a copy for free at the monthly meeting. 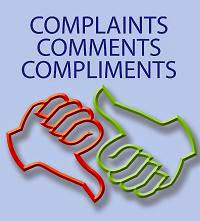 To download your copy onto your computer or print it, click on the link below. Every month, we have local speakers. This month, Stephen and Mary Harding talked about their volunteering adventures with Voluntary Service Overseas in Guyana and Rwanda. After retiring from their careers in primary and secondary schools, they embarked on two placements for Voluntary Service Overseas - two years in Guyana, South America and one year in Rwanda, East Aftrica. We were told about the two different placements, their work in schools training teachers and Headteachers and the differences between the two. We heard of the high points and the challenges as well as some of the personal travelling that they were able to do. They referred to some of the geographical and cultural differences, the customs in the two countries, how they got around and and what life was like for the people. Alongside their talk were two small displays of artifacts and some of the materials they had produced for teachers. They explained that VSO is now an international organisation with its Headquarters in the UK and partly funded by the government. It is not an aid agency and does not send people out in emergencies but rather trains professionals in a variety of skill areas to share their skills with local people with the aim of eradicating poverty. The afternoon finished with the usual chat with friends and hot drinks and home made cakes - a welcome part of the proceedings especially considering the weather. 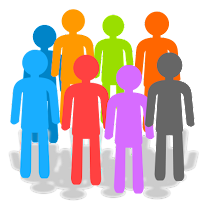 Our January Meeting was organised this month by Lynn and Brian Swift who used their excellent organisational skills to arrange two visits in one day to two quite different town houses in different parts of London. Both men were around in the same century with quite different backgrounds. In fact, they were born and died within six years of each other. 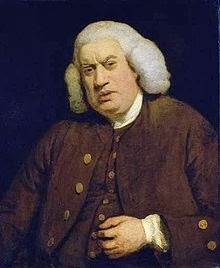 One, Dr Samuel Johnson (left) was the author of the first complete published dictionary in Great Britain and the other, Benjamin Franklin (right), was the only man to sign all of the documents leading to the Declaration of Independence of the United States of America and was considered to be one of its founding fathers. As though it had been arranged in advance, we were lucky enough to travel from Charing Cross to Dr Johnson's House along Fleet Street in one of the very few remaining Routemaster buses complete with driver and conductor. By sheer coincidence (or was it arranged?) the same bus took us back to Benjamin Franklin's House by the side of Charing Cross with the same conductor, this time with a different driver who had been featured in a TV documentary about the buses. Our Routemaster followed on behind one of the new TfL buses also with entry by the platform at the back. 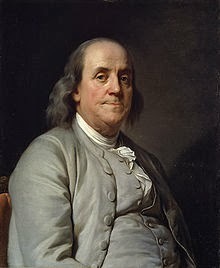 We had an excellent guide for Dr Johnson's House and an interactive tour with an actress dressed in period costume for the Benjamin Franklin House. A short walk took us to Ye Olde Cheshire Cheese Pub which is one of a number of pubs in London to have been rebuilt shortly after the Great Fire of 1666. There has been a pub at this location since 1538. After a very pleasant lunch at the Cheshire Cheese just off Fleet Street and our ride on the iconic Routemaster, we headed for 37 Craven Street, WC2 (alongside Charing Cross station), to visit BENJAMIN FRANKLIN'S HOUSE. You will find all of the photographs from this excellent day out HERE. Thanks, once again, to Lynn and Brian for their excellent organisation for a perfect day!